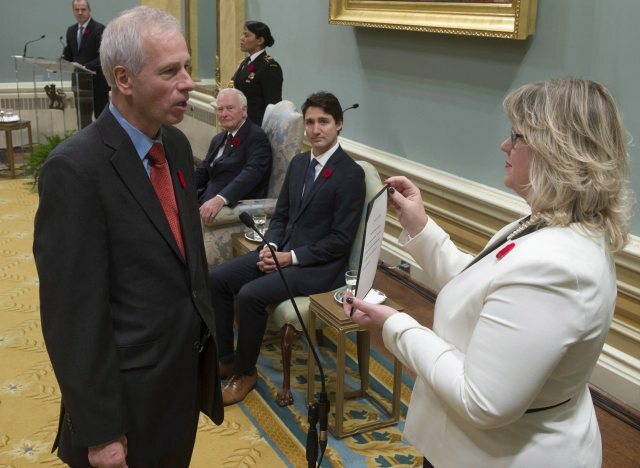 OTTAWA — Seven years ago, Stéphane Dion was a defeated man. The Liberal leader, who had captured the imagination of Grit delegates with his environmental platform, had failed badly to capture the hearts of Canadians and had sunk the party to one of its lowest levels of support – losing 26 seats and dropping the party to only 26 per cent of support. Despite his receiving praise for chairing the UN Climate Change summit in Montreal as environment minister, and giving Canada the Clarity Act — the law that could prevent Quebec’s unilateral secession as intergovernmental affairs minister, the Tory ads painted Dion as a shrugging, weak, and incapable leader. During the coalition crisis after the 2008 election, Dion tried to make the case for defeating the newly elected Conservatives in an amateurish video. Broadcast nationally, it somewhat cemented the image that had been crafted for him. He resigned several days later. Now, nearly a decade later, with his appointment as Canada’s new foreign minister, Dion has a new chance to craft his legacy. Dion said he wants to return Canada to a Pearsonian foreign policy — a reference to former Liberal prime minister Lester B. Pearson. As secretary of state for external affairs, he won the Nobel Peace Prize in 1957 for proposing a UN peacekeeping force to diffuse the Suez crisis. Pearson led Canada during era in which the country was seen as a middle power, ready and eager to broker peace in dangerous parts of the world. Canada should be an honest broker, he suggested. “It’s part of our role. Dion signalled that Canada’s foreign policy on the Middle East would change — if not in action, at least in tone. Dion said he is convinced the Liberals will be able to have a foreign policy that reaches out to the “immense majority” of Canadians and one that reflects what Canada is as a country. “Canada is a country fortunate enough to be able to promote its national interests while at the same time, in doing so, addressing the universal hopes of all humankind,” he said. “Because we never had an empire, a colonial empire, we never sent our courageous men and women in uniform [abroad] for other reasons than to help for peace and justice around the world. And because of that, we are welcome everywhere. Dion plans to attend the UN climate change conference in Paris. He believes Canada can help France accomplish its goal of getting countries to work together to reduce the effects of greenhouse gases and to help more vulnerable countries adapt to a climate that is already starting to change. This is a new era, Dion said. The world is already heading towards a three-degree increase in global temperatures if we do not change our collective actions, he said. He refused, however, to discuss Canada’s climate change targets. That discussion, he said, is for another time. He planned to get a full briefing from his deputy minister Thursday morning.